All 16 declared candidates get their day. Looks like Fox News’ 5 p.m. consolation debate on Aug. 6 is going to get more crowded. The network announced this evening it was allowing all candidates who have announced their candidacy for the Republican nomination and don’t make the cut for the 9 p.m. debate to participate in the earlier debate. 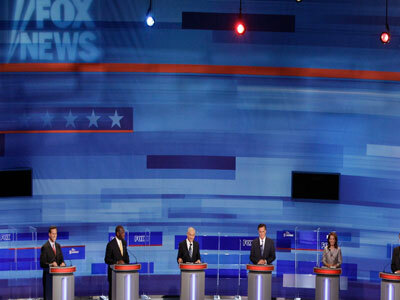 Due to the overwhelming interest in the FOX News Facebook Debate Event Night on August 6th and in a concerted effort to include and accommodate the now 16 Republican candidate field — the largest in modern political history — FOX News is expanding participation in the 5 PM/ET debate to all declared candidates whose names are consistently being offered to respondents in major national polls, as recognized by Fox News. Previously, admission to the 5 p.m. debate was dependent upon candidates averaging at least 1 percent in the five most recent national polls leading up to the debate, a threshold some of the 16 announced candidates were in danger of not meeting. All components of the original criteria remain unchanged – including the requirement that participants must place in the top 10 of an average of the five most recent national polls, as recognized by FOX News, leading up to August 4th at 5PM/ET. Such polling must be conducted by major, nationally recognized organizations that use standard methodological techniques.